In collaboration with Compass, Cox+Co takes a modern approach to real estate. Constantly evolving, we pride ourselves on providing a service experience that breaks the mold of what is typically expected of a real estate experience. Our goal is to treat each client experience case by case based on their needs and level of involvement along the way with the intent to forge relationships that last beyond the transaction. Recognized among the top 75 teams in New York by the Real Deal, James C. Cox Jr. and Frank Giordano consistently deliver the best possible results for their buyers, sellers, tenants and landlords. 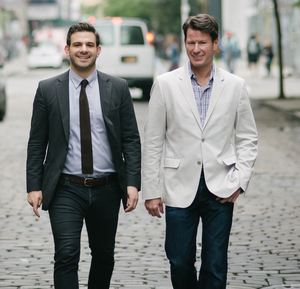 Combining global perspective with unparalleled knowledge of the New York market, James and Frank are uniquely suited to guide clients through the world of high-end NYC real estate. Building off their accomplished backgrounds in the hospitality industry, they offer a creative approach to marketing and negotiating that proves invaluable to their clients, whether first-time buyers or international investors.